Capitol/UMe will delight the countless millions of fans of two global superstars with the 16 November release of the “lost album” Glen Campbell Sings For The King. It features 18 recently unearthed and unreleased tracks from the recordings that Campbell made between 1964 and 1968 for Elvis Presley. The pair’s friendship stretched across three decades, from their first meeting during Elvis’ rise to fame to the days when both were adored worldwide. 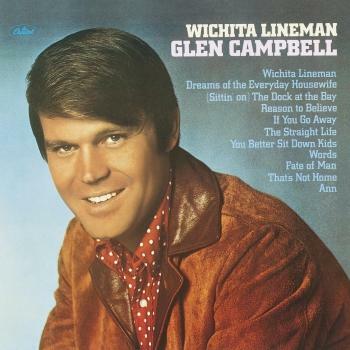 Glen Campbell was asked to bring his perfect pitch and ability to match Presley’s vocal pitch and style, so that the songs could be presented to ‘The King’ for his recording consideration. Glen also brings his unrivalled guitar virtuosity to the material. Campbell undertook the sessions in between others during his time with the famed studio ensemble the Wrecking Crew, as a touring member of the Beach Boys and on his own recordings. 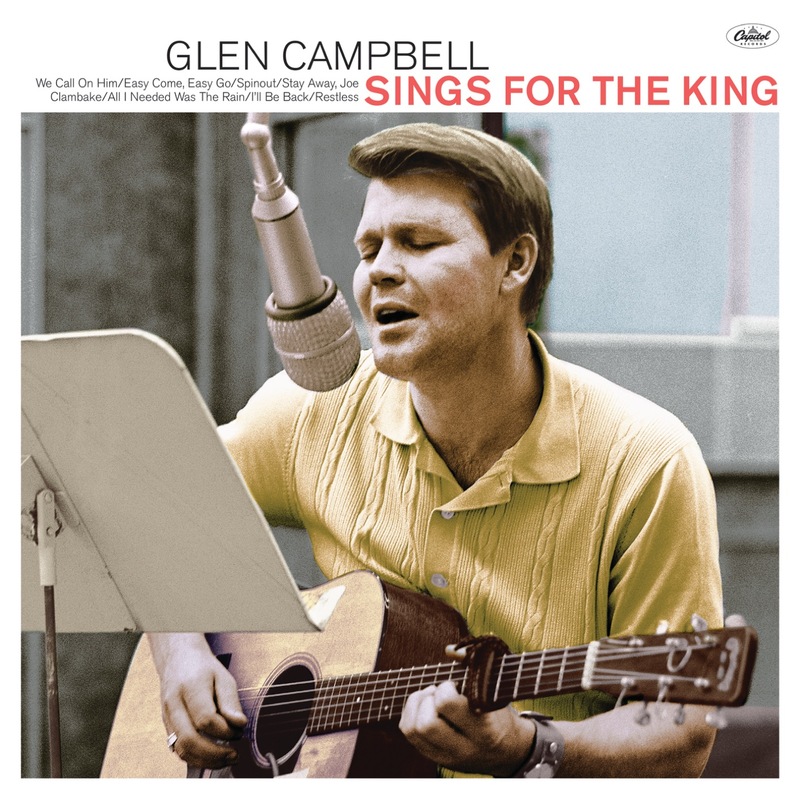 The album opens with a digital duet between Presley and Campbell, the gospel song ‘We Call On Him,’ and features a variety of styles ranging from the country-tinged ‘Any Old Time’ via ballads like ‘I’ll Never Know’ to the rockier ‘I’ll Be Back.’ Campbell begins ‘I Got Love’ in his own style but subtly changes the delivery to Presley’s tone. Campbell later recalled: “Elvis and I were brought up the same humble way, picking cotton and looking at the north end of a south-bound mule. I saw him in the rough,” he said of the 1956 performance. “He was so electrifying.” In 1960, Campbell moved to Los Angeles to find work as a session musician and landed a regular gig at the Crossbow Club, where Presley and his friends would sometimes visit to watch the entertainment from a small private room upstairs. Long before his own stardom, Campbell was unrivalled as a session guitarist, playing on nearly 600 sessions in 1963 alone. His one appearance on a Presley recording was the memorable guitar on ‘Viva Las Vegas.’ Even after his own breakthrough in 1967, Campbell continued to record songs for Weisman and Wayne in his increasingly limited spare time. The Presley-Campbell relationship could even have taken another turn in 1969, when Elvis chose him as one of two contenders for lead guitarist in his TCB band. But Glen’s huge success by then rendered him unavailable, whereas James Burton, who famously took the role, was free after the disbandment of Ricky Nelson’s group.